Birmingham based Nurton Developments has disposed of its freehold interest in Cornerblock on Cornwall Street, Birmingham, to real estate investment company Aprirose for £5.58m, representing a yield of 4.9%. Cornerblock is 95 per cent let, following a £14m refurbishment in 2017. 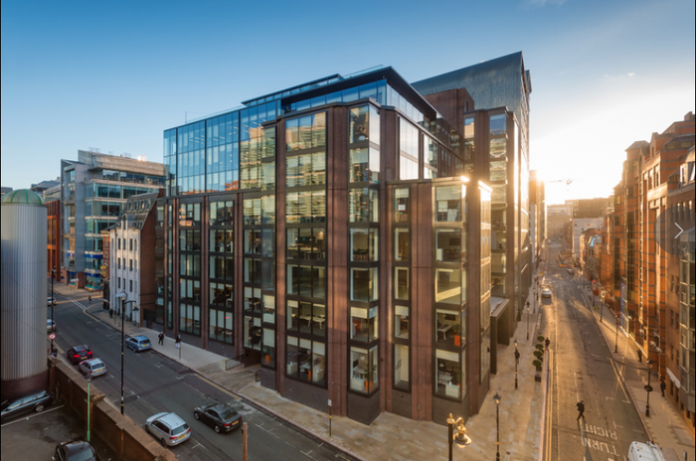 The newly launched office building is located in the heart of the Colmore business district. The office is comprised of open plan office plates, on-site car parking, as well as bike facilities. Nurton purchased the freehold for Cornerblock for £3.5m when it fell vacant and felt now was the right time to sell with the 110,000 sq ft building nearly 100 per cent let. Rupert Young, development director at Nurton added: “The Cornerblock freehold has been a good performer for us without having to outlay significant capital too early. The Cornerblock freehold sale by Nurton follows closely behind the disposal of two assets from the property company’s industrial portfolio in the West Midlands, which reached above the asking price, totaling £4 million.